1. 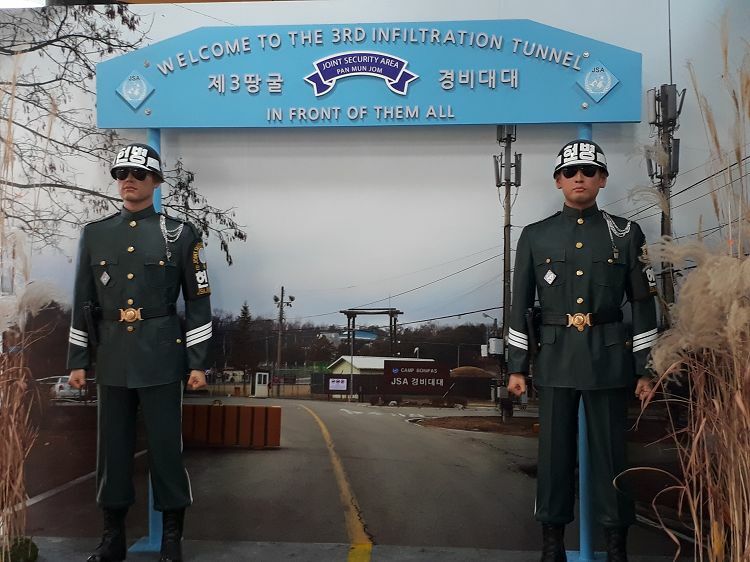 Visit the demilitarized zone(DMZ) of the North and the South, as well as the Unification Observatory. 2. It is the tourist attraction almost as popular as the JSA. 4. Goyang Flower Festival is located in Ilsan, which is closed to Seoul, and is the largest-scaled flower festival in Korea. It is the most popular Spring festival! 5. Visit the beautiful and quiet Ilsan Lake nearby! It is a tour consists of Goyang Flower Festival and DMZ, that is a famous spot that can only be seen in Korea. It is recommended to those who do not only want to visit DMZ only. You can have a look at Korea's frontline(which is divided from the DMZ) as well as various types of flowers and plants in Goyang Flower Festival! A Spring tour that everyone enjoys! Since the ceasefire agreement of the North and the South, the area consists of 2km from the ceasefire line to the North and the South is defined as the demilitarized area (DMZ) since no military power can be arranged inside. To prevent battles, no citizens are allowed to enter DM during the past 60 years, and it is known as a place with a lot of endangered animals and plants. Goyang Flower Festival, the largest-scaled flower festival in Korea as well as the only festival that is specialized in flowers, is held in Ilsan Lake Park every year. 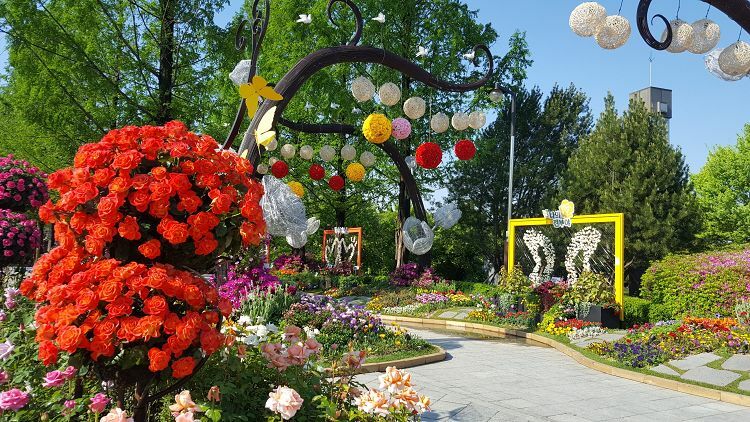 The 13th Goyang Flower Festival exhibits over 200 species of flowers with various organizations, associations and groups from 25 countries participating in this festival. You can visit the indoor garden where you can greet the ultimate beauty of flower arts; colourful outdoor theme garden; culturally enriched shows and performances; outlets selling flowers at a low price, etc. Goyang Flower Festival only opens between April and May, so that it includes events like illumination garden, LED shows and K-POP performances. 1. Those aged below 24 months are free of charge (But no extra seats will be provided). 2. Please notify us beforehand if you use a wheelchair or baby trolley (help@seoulpass.kr). 3. The minimum participant is two. If the minimum number of participants is not reached, the CS Team will notify you through email. 4. Please bring your PASSPORT. You CANNOT join the DMZ tour without a passport. 1. Reserve the product through Seoul Pass and confirm your mobile/email voucher. 2. Cancellation of the tour will be notified at least one day beforehand. 3. Please arrive at the meeting place on time if there are no other notifications. 4. FInd the "Korea Time Tour" staff nearby! 5. Show your voucher and start the tour!